The Charles City Comets had another rough Saturday posting a 1-5 record at their own tournament. The lone Comet win came with a straight set seep of Oelwein, a team they face on the road tonight. Charles City fell to Tripoli, New Hampton and South Tama in three sets but were swept by Janesville, and Wapsie Valley. The Comets are now 9-22 and are at Oelwein tonight. The Osage Green Devils picked up four more wins on Saturday at the Waverly-Shell Rock invitational. The Green Devils did drop a three-set match to Jefferson Cedar Rapids. Osage swept Denver, Crestwood and Mason City and defeated Beckman Dyersville in three sets. 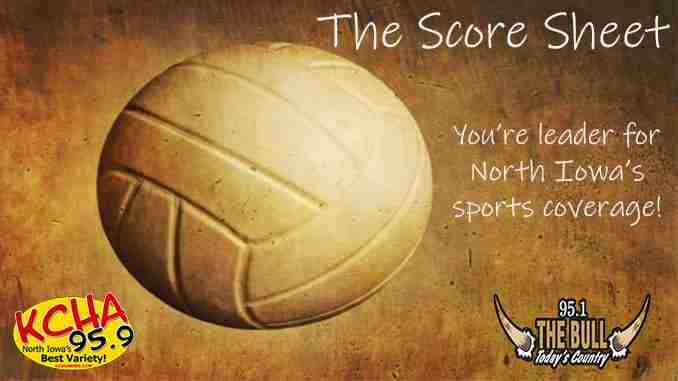 The Green Devils are 18-5 and travel to Northwood-Kensett tonight. 9-9 Rockford hosts 13-10 North Butler who is riding a five game winning streak.